The Fiscal Year (FY) 2015 Mayor’s Proposed budget was released April 3, 2014. It sets the Mayor’s priorities for the coming year and is the first step in the budget process. The next step in the process is the review of the budget by the Council of the District of Columbia. Council has begun its process by asking District agencies to provide details on their budgets and may recommend changes. As port of its information gathering efforts, the Council Committee on Transportation and the Environment will hold its hearing on the District Department of Transportation (DDOT) Tuesday, April 29, 2014 beginning at 11am in the Council Chamber of the John A. Wilson Building (Room 500), 1350 Pennsylvania Avenue, NW. The Committee encorages the public and organizations to provide testimony on the proposed DDOT budget and its plans for the upcoming year. 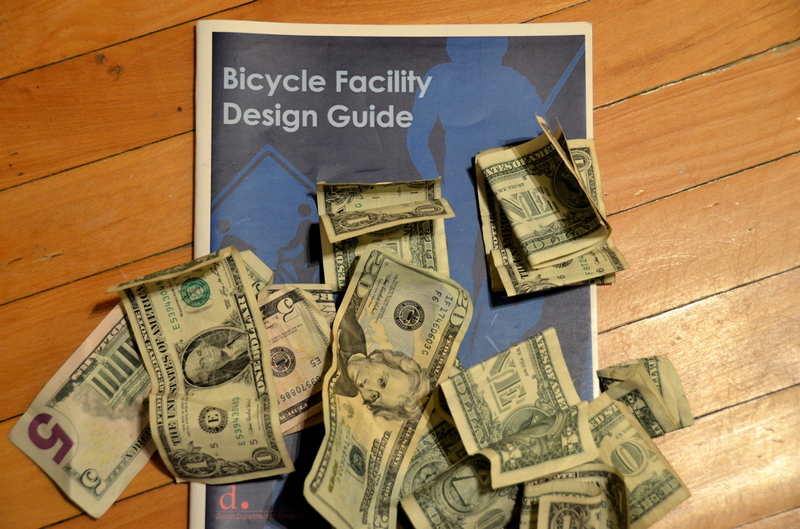 BAC encourages the public to voice praise, concerns or suggestions with regard to the proposed spending for complete streets that include accommodation for bicycling at this hearing. For those interested in testifying at the DDOT hearing, please contact Aukima Benjamin or call 202-724-8062.